Many couples worry how they will keep their guests entertained during photos. 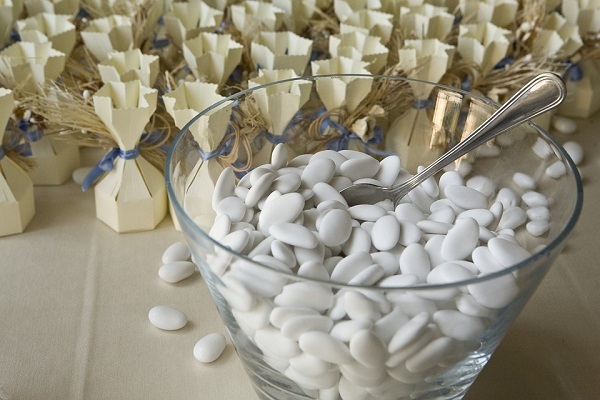 While you want to arrange for wedding surprise for guests; you may also have a strict budget to adhere to. 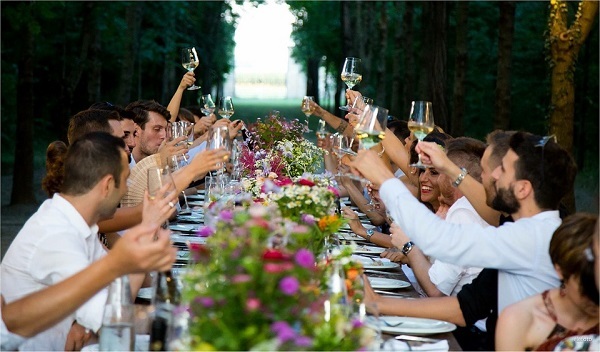 Presenting a few alternative wedding entertainment ideas to keep you from spending too much and also keep your guests happy for hours. Game night reception is fun and entertaining and does not cost too much. In case you are not looking for live bands which can be expensive, arrange games like Bingo, one-minute games etc with prizes for everyone. The prizes need not be expensive and you’d still end up saving a lot than you’d have spent on a DJ or live band. This is a great way to save a ton of money on entertainment and is also an alternative wedding entertainment idea. Who needs a band or DJ when your wedding evening coincides with a rock concert? Your guests can dance the night away! Consider taking them to the State Fair, Circus, Rodeo, or even the Burning Man. This is a beautiful way to entertain wedding guests between ceremony and reception. It is also a great way to support education and cultural awareness in a larger sense. There are many exotic and beautiful public venues that allow weddings. Science or art museums, art gallery, public library are just some ideas. Eco resorts and eco-lodges are increasingly popular wedding venues and they provide numerous entertainment options like spa, bird watching, kayaking, safaris and other options your guests will love. Not to mention these places provide a great backdrop for superb photos and amazing memories for guests to take home! Apart from public venues, you can consider quaint and romantic wedding venues like barns, platform of historic train or trolley stations, historic mansions or castles, or privately owned cozy bed and breakfasts. Guests are sure to find lots to do in and around these areas and it will be a great change to get away from the hustle and bustle of the city life. Limit the number of hours the band performs. For instance, have light piped-in music during dinner and then start the DJ’s clock running after dinner once three hours are over. Do not begin too early-schedule the main entertainment for later in the evening. You do not want dancing to begin while the guests are still eating or attempting to chat when you (bride and groom) are having photos taken. Rather than keeping clock running for a DJ, hire an instrumental artist or pianist. Consider a non-wedding band such as local jazz ensembles or music reunions. They do not charge exorbitant fees like wedding bands do. If you are lucky, you will find a stellar group with fine sound for less. Do not get married on Saturday. Many bands charge more on the weekends. Ensure they are not charging you for things you do not need-like light and bubble show etc. Always ask for recommendations for the DJ/band before you sign them up. Attend bridal shows-many DJs offer their prices/brochures there and some even give free tapes of their music. If you are really low on cash and want a nice wedding surprise for guests, make your own music mix CD and have a responsible friend/family member play it. You need not be techno savvy to burn your CD but you can always get a tech-savvy friend to help out. Keep the music appropriate –for example light during dinner and also something older guests will appreciate. Later, during after-dinner hours, you can play wild music. If needed, make separate CDs for different stages of the day. You can also check out library CDs-free! 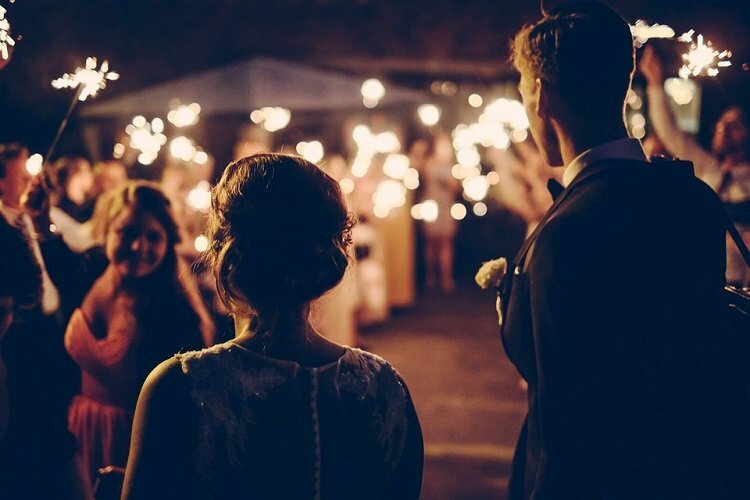 You can get lucky and find music ideal for ceremony and dinner as well as reception tunes for dancing and cocktail. Simply have the venue play piped in music and avoid dancing. This can save nearly 30% of your wedding entertainment costs. Many couples also avoid dancing for religious or personal reasons. So playing piped in music will amount to huge savings. 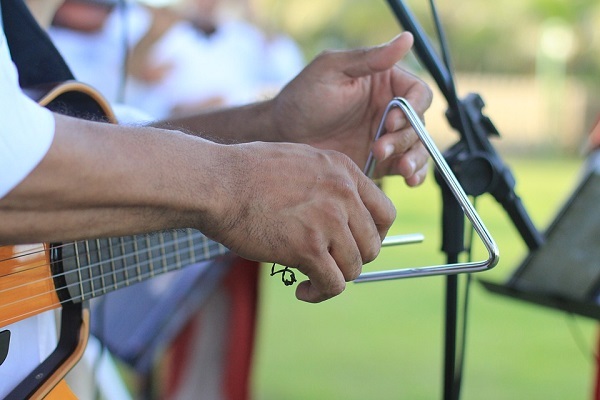 Many assisted living facilities have seniors who are musicians. They will be honored to play at your wedding for nominal fees. If you have a lot of kids at your wedding, keep them entertained by providing play dough, coloring materials, small toys and age appropriate games. All these can be picked up at dollar stores and you can also get bargains on mail order gift catalogs too. Kids’ parents will be thankful for your thoughtfulness. If guests have traveled long distance to your wedding show them your appreciation by arranging breakfast for them. You may leave for your honeymoon and guests will appreciate this gesture and have great memories to share later. We hope you like these wedding entertainment ideas-cheap and fun they are! Good luck!